The best thing about this novella is that is gets straight to the heart of the story! P. Djeli Clark incorporates incorporates his Caribbean culture with his knack for storytelling in this fast paced tale! Creeper, a teenager who is a non-conformist when it comes to traditional gender expression, wants more than anything to become a member of a crew's airship. She believes she gets her chance when she overhears a terrorist plot, however, Creeper realizes there's more going on in Post-Civil War Louisiana than even she believes! The length of the story has the reader reading in realtime due to the pacing of the story. While the author could have stretched out the story to the length of a novel, it's a reminder that excellent stories can be told within a hundred pages! This mystery/alternative history/science fiction novella is not one to be missed! 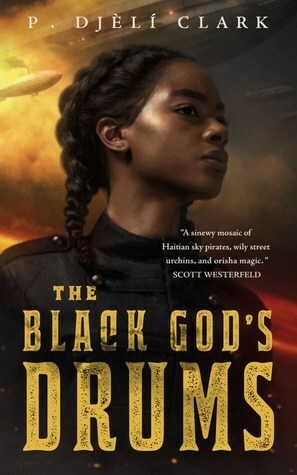 Sign into Goodreads to see if any of your friends have read The Black God's Drums.